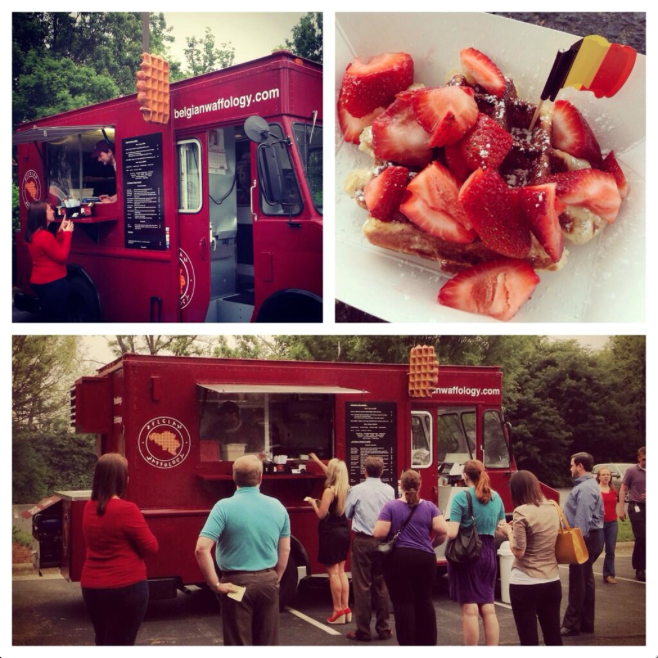 Belgian Waffle Crafters is the first one and only Belgian waffle food truck in the Triangle and among the few Breakfast food trucks of the area. We are Belgian and we’ll bring to you what we do the best: Liege waffles! Come eat a delicious sweet or savory, made from scratch, Belgian Waffle. My son and I both fell in love with the waffles! The flavor and presentation are great! Best waffles you can get. Belgian Waffle Crafters participated in “May the Fourth Be With You” and provided free waffles at Cambria near Duke – so delicious with fresh strawberries and cream! I would certainly now come back and pay for the next over and over again – Yum!! !